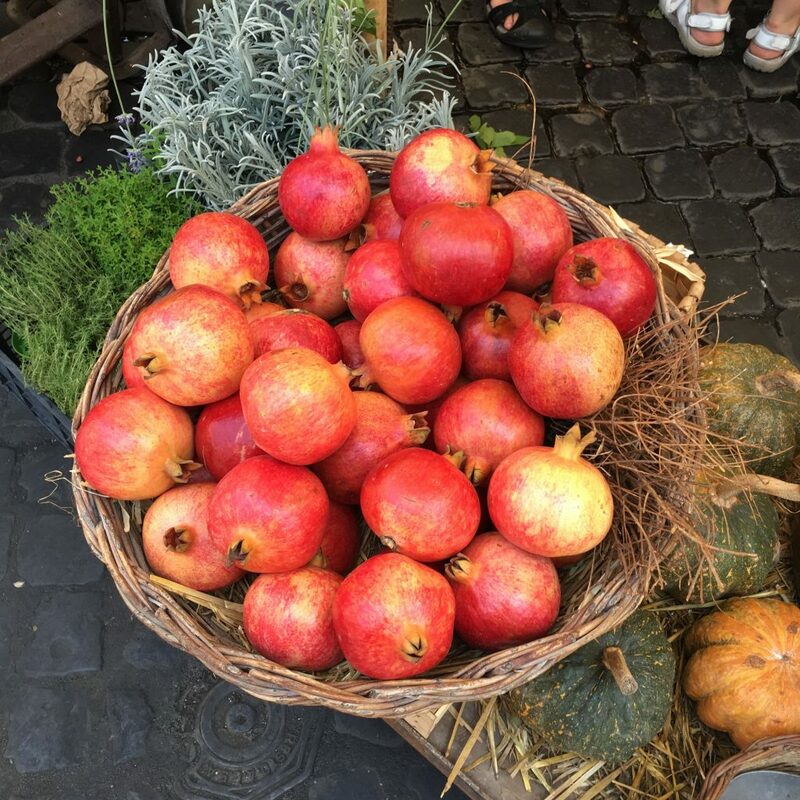 I love using seasonal ingredients for my recipes and when I see pomegranates at the farmers’ market it can only mean that summer is over and fall is starting. 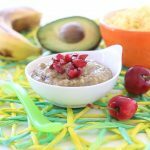 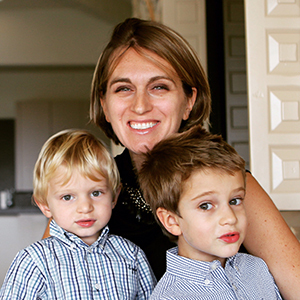 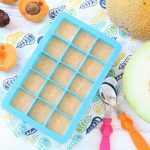 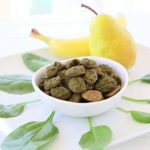 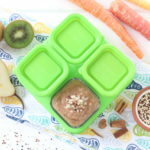 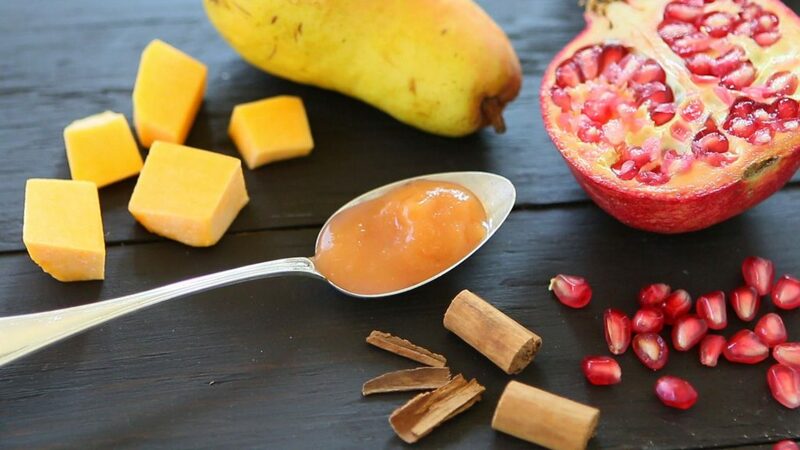 When I used to prepare homemade baby food for my kids I really liked to use any fresh and seasonal ingredient I could find locally…and pomegranate was one of them! 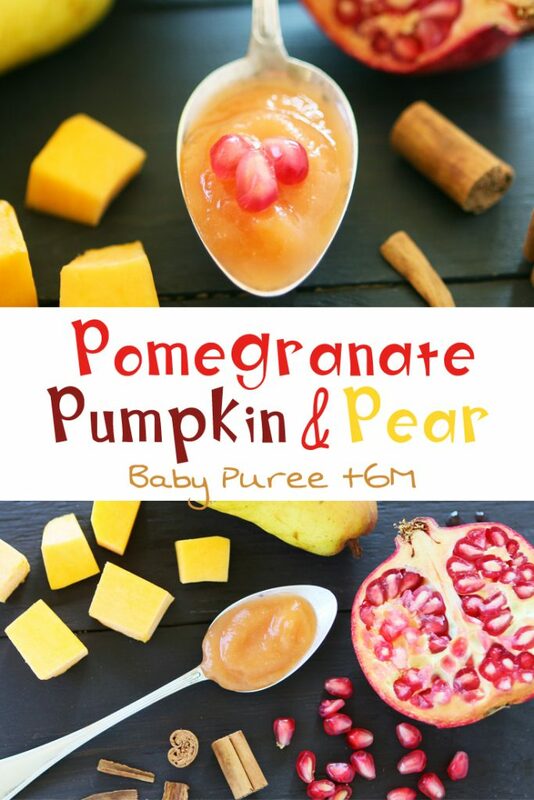 Pomegranates are a lovely and baby friendly fall fruit, loaded with antioxidants, vitamin C and K. In addition they have quite an unique taste. 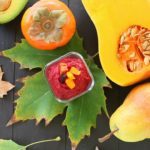 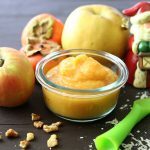 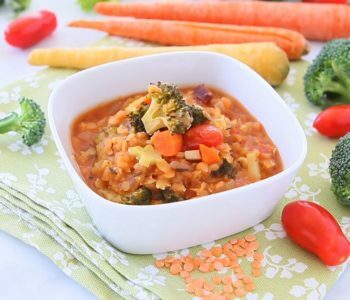 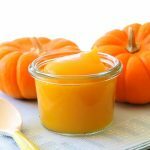 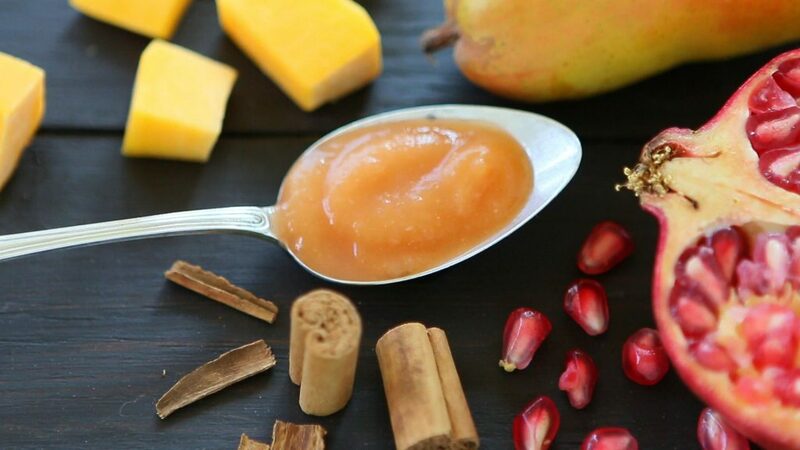 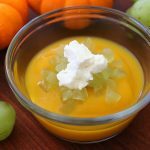 This puree is on the sweet side, appropriate starting from 6M and I really like it because it has all the flavors of fall, spices included!! 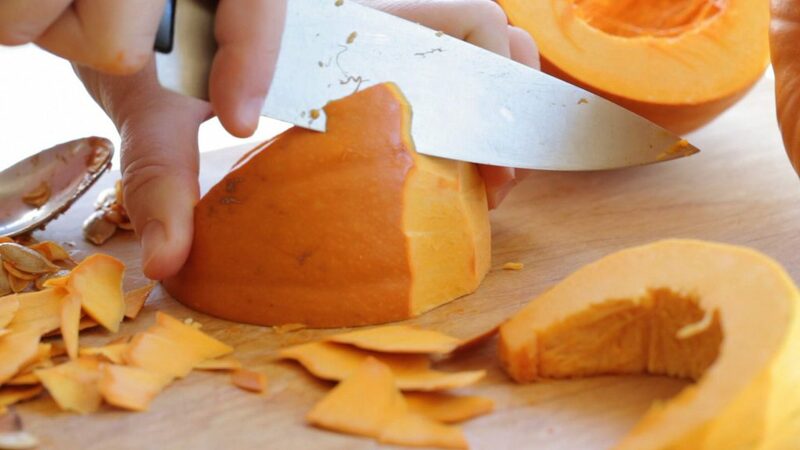 Start with cleaning the pumpkin (peel + remove seeds + chop in small pieces). 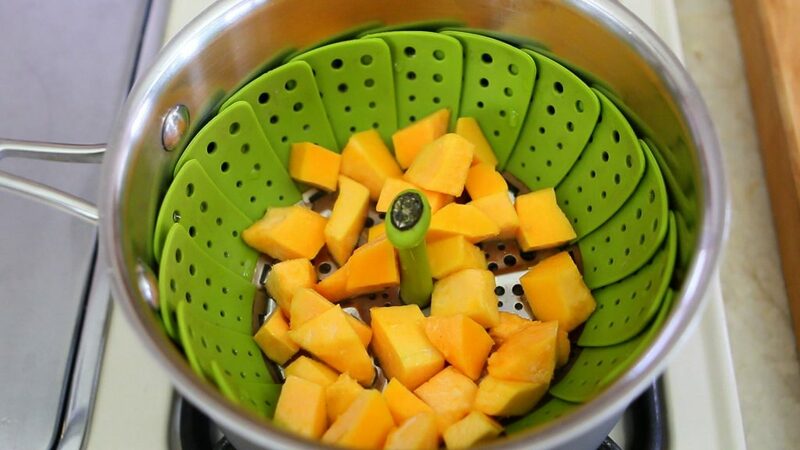 Yes, you can buy organic fresh precut pumpkin at the store, it’s fine! 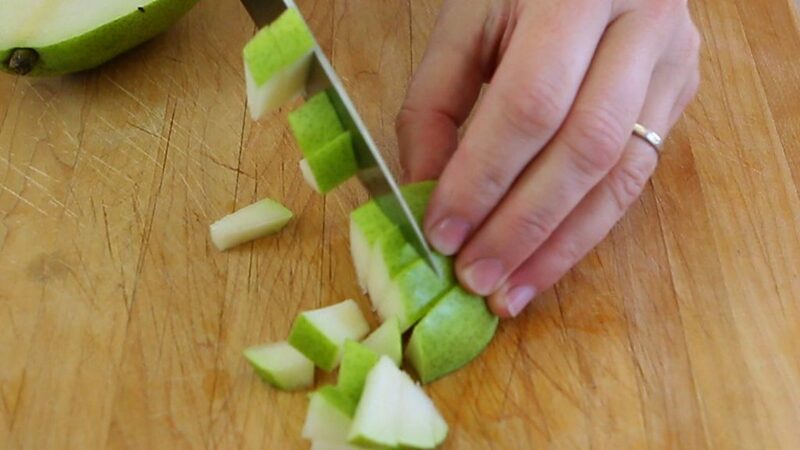 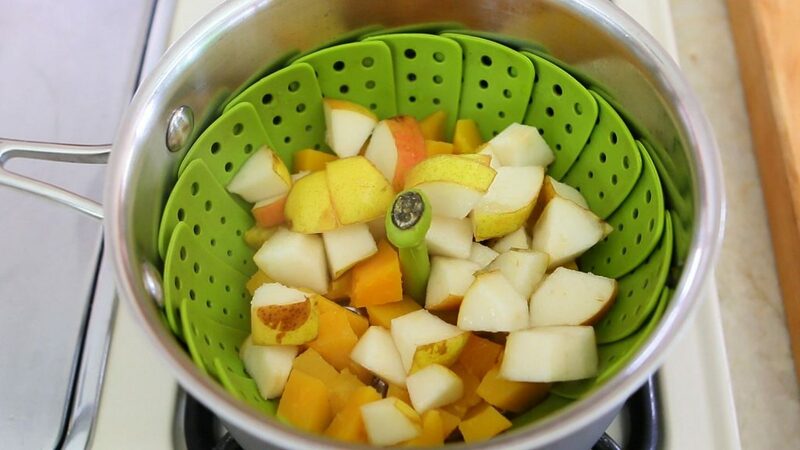 Steam the pumpkin cubes by themselves for 10 min and than add the pear too for additional 2 min. 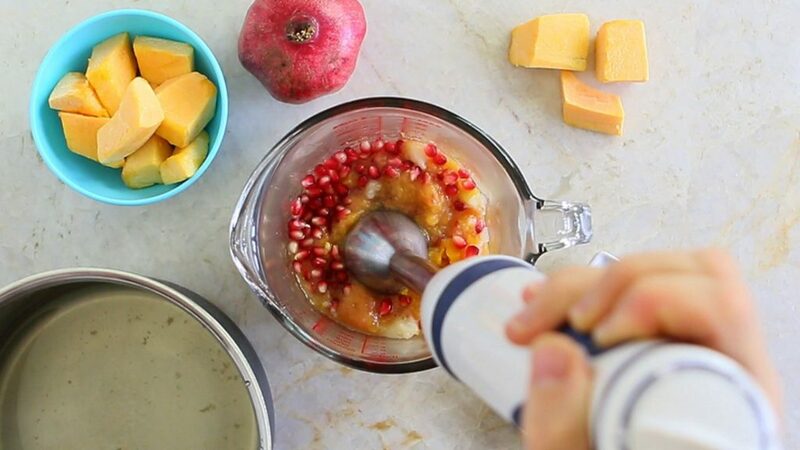 In a food processor or in a tall container if you use and immersion blender add all the ingredients: steamed pumpkin + pear + pomegranate + a pinch of cinnamon + a pinch of nutmeg and blend up until smooth. 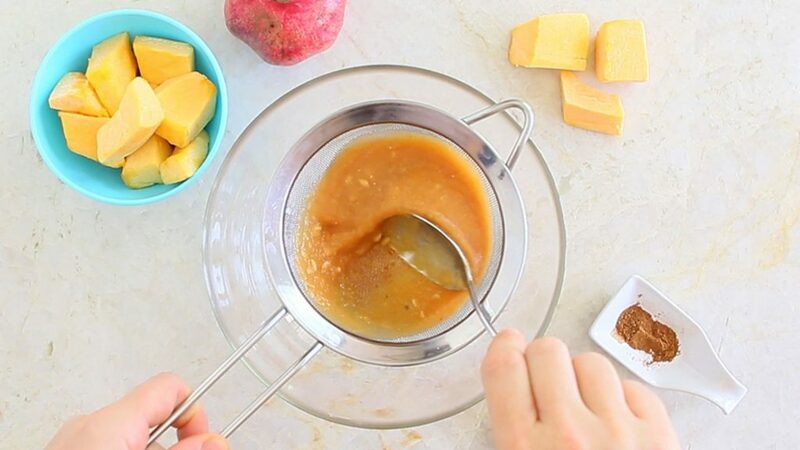 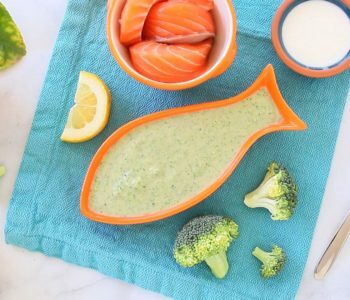 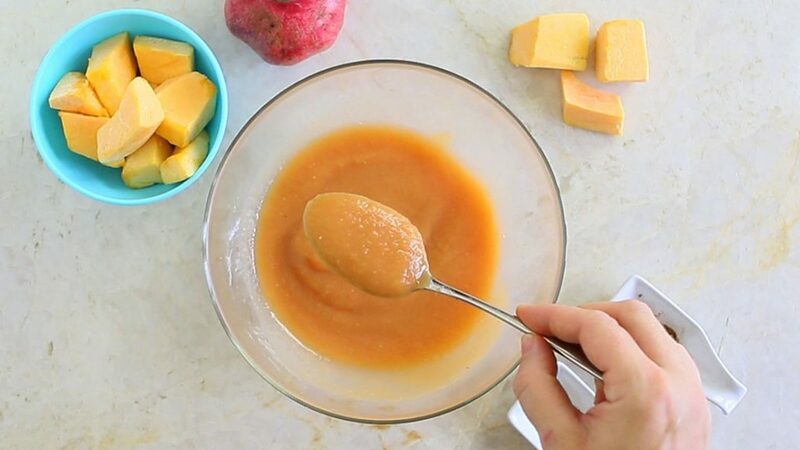 If you are preparing this puree for a little baby (+6M) be light with the spices…a tiny pinch, nothing more. 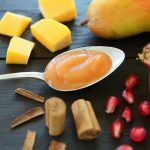 Their spices sensitivity is way higher than ours!!! 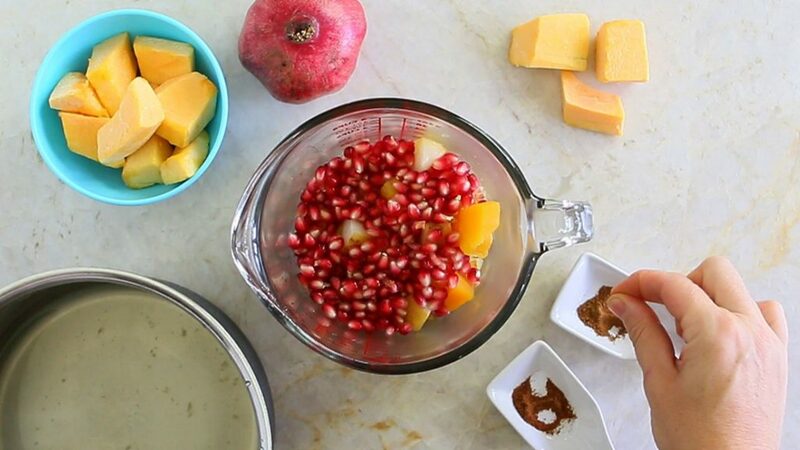 The pomegranate seeds might not dissolve, it depends from the food processor speed and blades, that’s why you will need to use a sieve to completely remove the seeds from the puree. 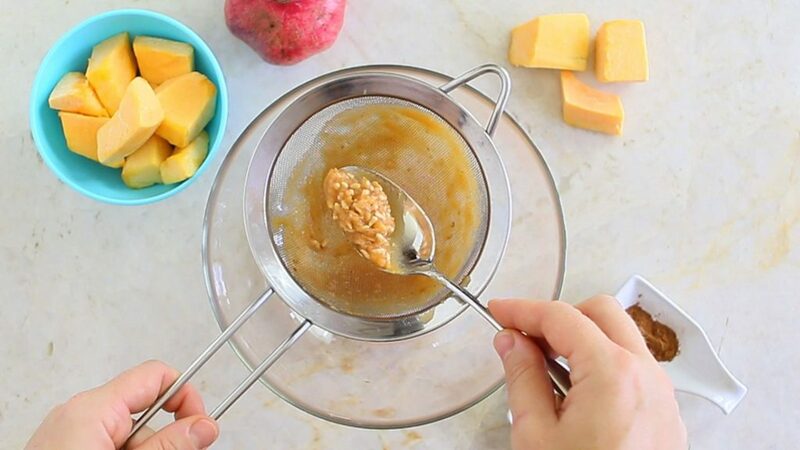 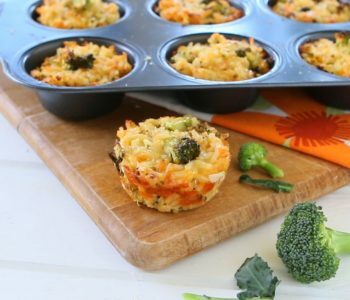 Use a sieve to completely remove the seeds from the puree.